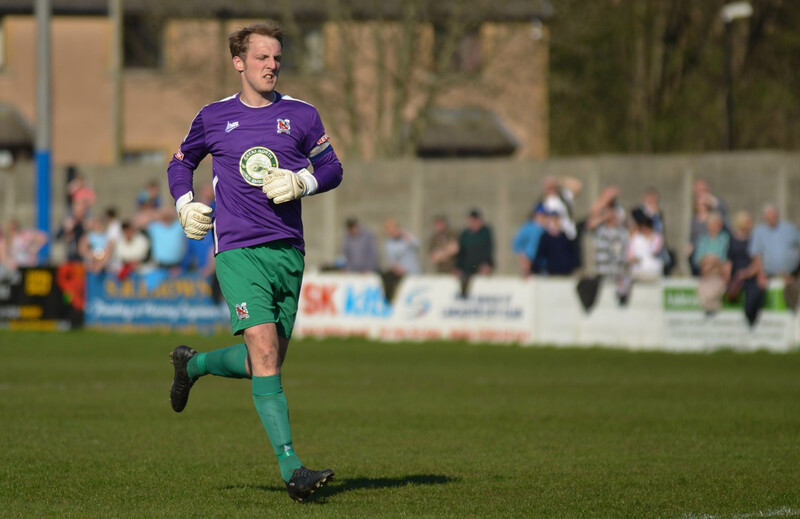 Darlington keeper Ed Wilczynski has gone to EvoStik League club Shaw Lane on loan. Ed, who has made 12 appearances for us, is going on a month’s loan. We’d like to wish him every success in his stay there. I don't think it's any great surprise. Tommy has given Ed a go, clearly doesn't fancy him as number 1. Ed wants to play every week, so a loan was agreed. I don't see how we can monitor his performances when he is so far away. Maybe Tommy has some trusted contacts there. To be honest the gappy and slow defence in front of him has been all at sea, as Boro demonstrated with great ease. I would try Vaulks, Collins & Heaton as a back 3, as Brown probably needs more time to get back up to speed and our infamous far post gap has more chance of closure with 3 in front of the keeper. With the club having no specialist full backs it seems obvious to play 3 at the back. So yet again won't have an established keeper on the bench. How often in all your years of watching Darlington, Pete, have you seen the keeper replaced? It's very rare and when I look back when we only had one or two substitutes it would always be outfield players. I can't see it being a problem. Darlo_Pete wrote: So yet again won't have an established keeper on the bench. don'tbuythesun wrote: How often in all your years of watching Darlington, Pete, have you seen the keeper replaced? It's very rare and when I look back when we only had one or two substitutes it would always be outfield players. I can't see it being a problem. I'm not Pete but I've seen it a few times and it usually ends badly - except for the Carl Shutt episode (s)? It's asking for it not to have a keeper on the bench, just silly. The odd exception being Gary Brown's heroic free kick save vs Lancaster! Andy Collet came on from the bench down at Cheltenham many moons ago. Saved a penalty with his first touch of the season if I recall correctly, securing a 1-1 draw. With 5 subs on the bench, having a more than an adequate goalkeeper replacement is a necessity rather than a luxury. I seem to recall David Stockdale coming off the bench after Andy Oakes was sent off first game of the season at the Arena. Went on to make us £300k. Most worthwhile sending off we've ever had. Should always have a goal keeper on the bench, it's just tempting fate otherwise. I think the original post was about not having one available. Of course if we have one they should be on the bench, especially if we have a once in a blue moon occasion.